Located in the centre of Champoluc and close to the Monterosa Ski lifts, the Hotel Relais des Glaciers is our home, where we will welcome you with cordiality, the utmost accessibility and all the attention you deserve. A characteristic alpine style residence awaits you, ideal for relaxing holidays both in the summer and in the winter time. 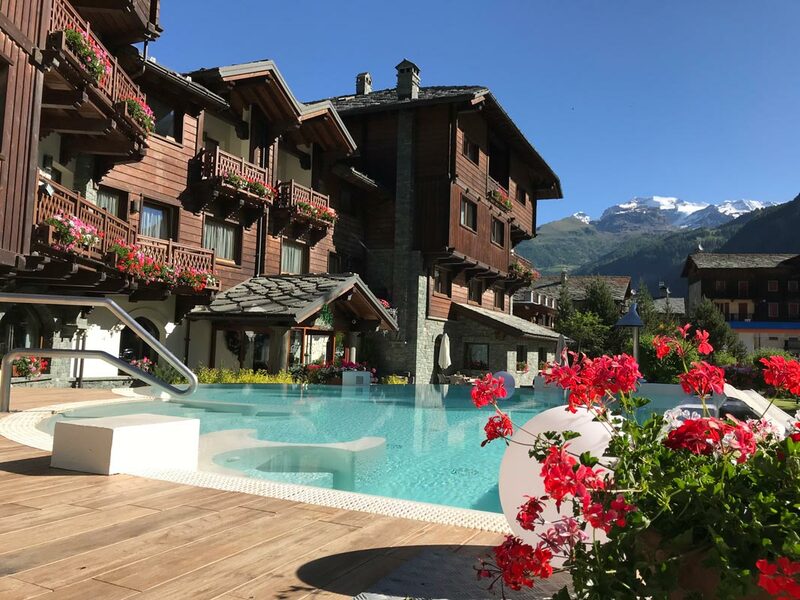 Every day from our garden, you can enjoy the breath-taking view of the glaciers of Monte Rosa, while on the inside you will find a welcoming and elegant atmosphere. The management, carried out by Manuela and Eloise, ensures impeccable care for each guest, and warrants the continuing excellence of the services provided.